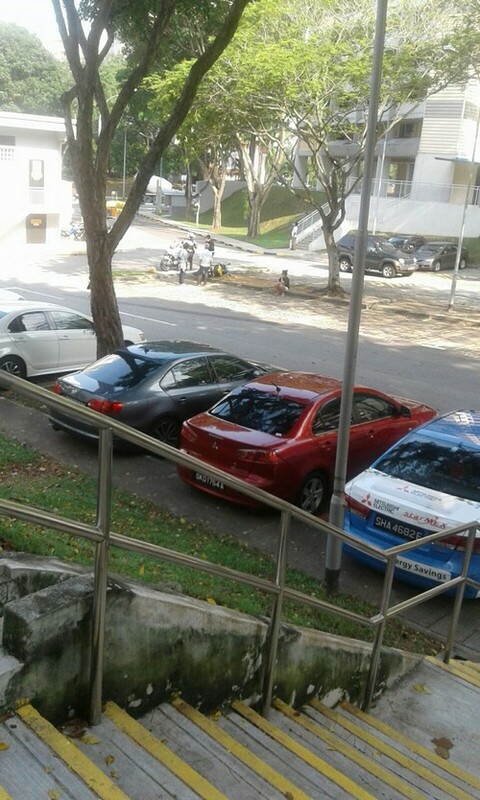 Local actress Rui En flouted traffic rules again after she drove her BMW straight on a Right Turn Only Lane in Orchard road, then cutting into the second lane abruptly, and almost causing an accident with an oncoming car. The incident happened at a cross junction between Orchard Road and Paterson Road last Friday (Dec 23) at around 12pm, and a video of the incident was captured by the car camera of the oncoming vehicle on the second lane, which Rui En had cut into, reports Lianhe Zaobao. 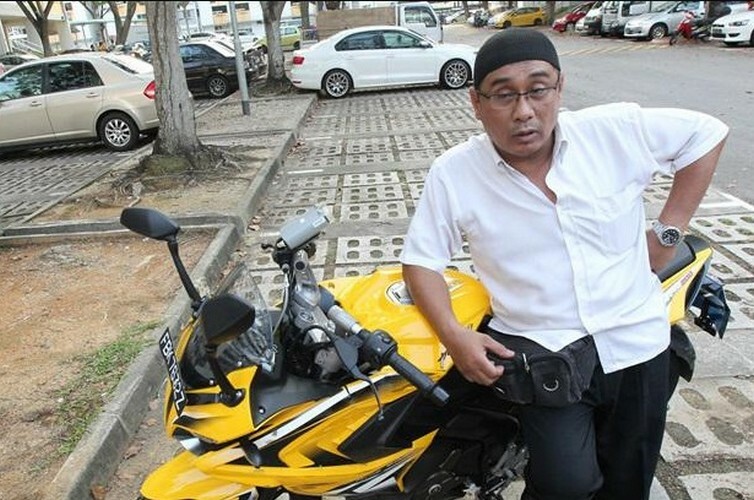 According to the video uploaded on Beh Chia Lor's Facebook page, the driver was approaching a cross junction and slowed his vehicle to about 30km/h when the black BMW suddenly jumped his lane and overtook his vehicle. 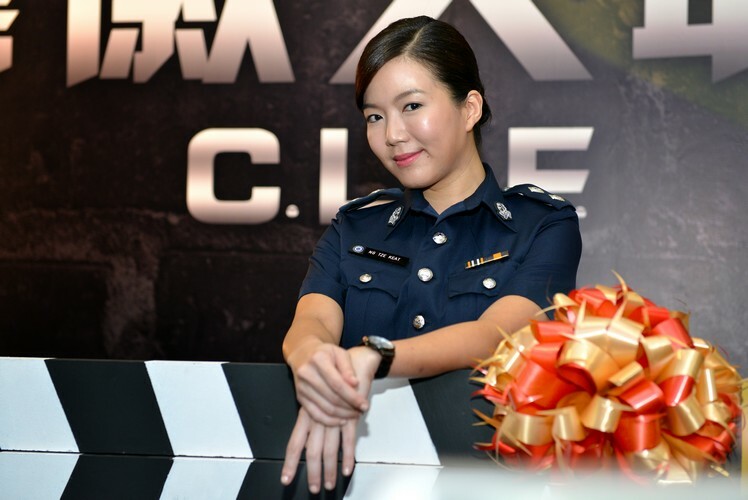 Actress Rui En was fined $700 after pleading guilty to one charge of careless driving . 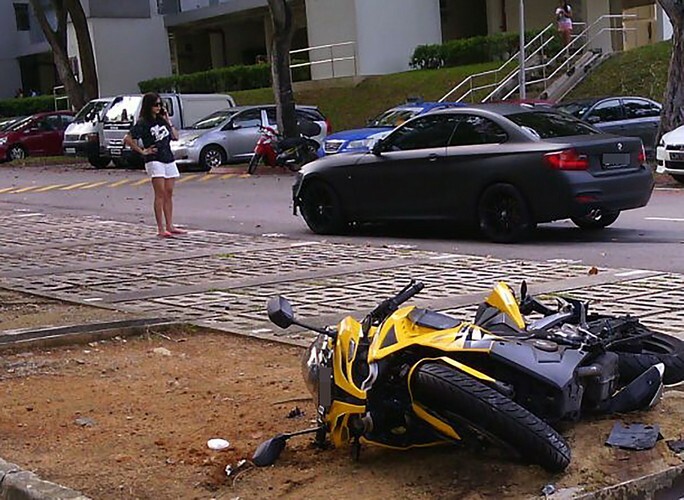 She had failed to control her black BMW, which mounted a kerb before knocking into a stationary motorcycle in a car park at Block 331, Clementi Avenue 2. According to Channel NewsAsia, the prosecution had sought a fine of between $600 and $800, as well as disqualification from driving for three to four months. Rui En was picked up in a Honda Civic outside the State Courts. 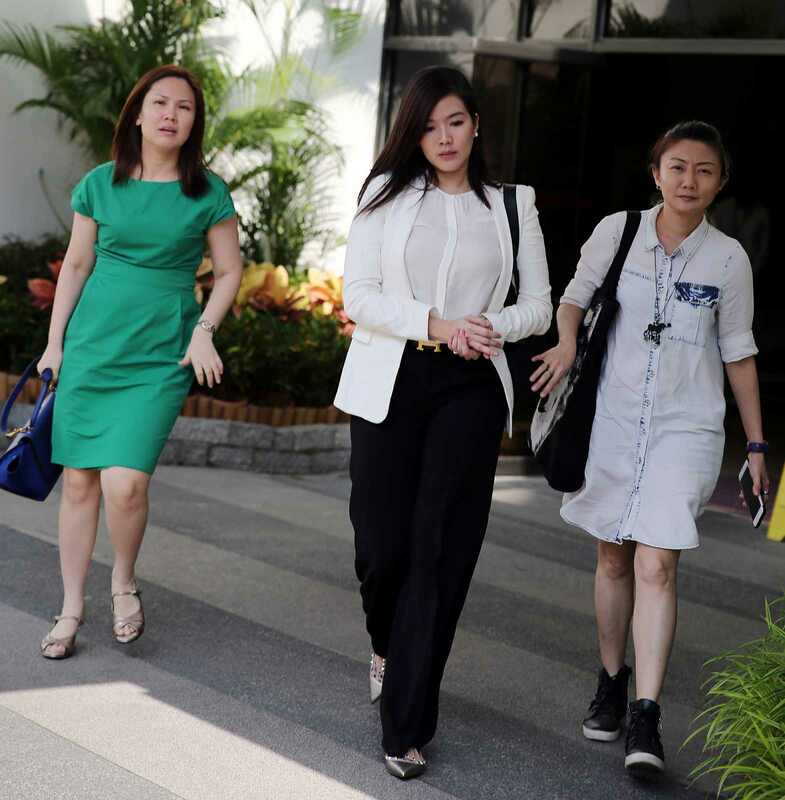 (centre) Rui En and her collegues from management firm leaving the State Courts. Rui En, MediaCrop actress charged in court for inconsiderate driving. Rui En, leaving the State Courts. Rui En was charged in court for inconsiderate driving. She is pictured leaving the State Courts. 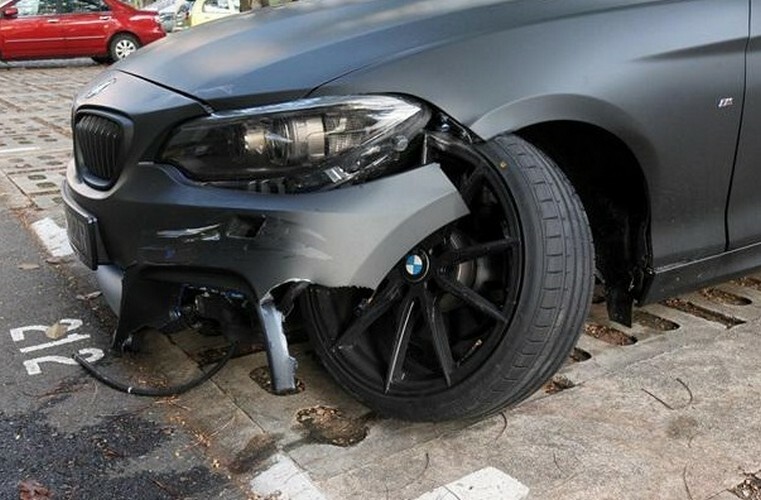 He then saw that his motorcycle had been hit by a black BMW, which appeared to be out of control and was driven onto a kerb. 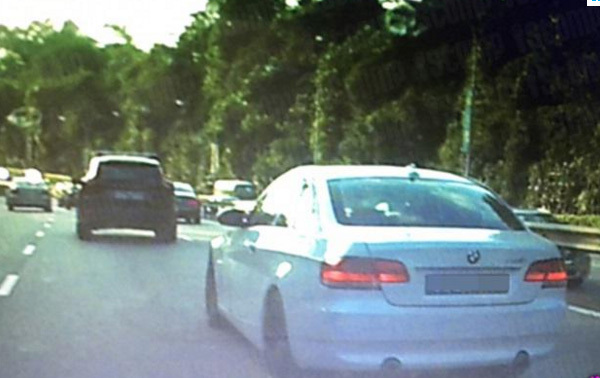 Instead of stopping to check on the situation, the driver of the BMW reversed back onto the road and continued to drive on, he told Wanbao. She stopped the vehicle after Mr Bahrom knocked on her window repeatedly, and only stepped out of it after putting on a pair of sunglasses. According to Mr Bahrom, the driver smelled of alcohol and the first thing she asked was: "Do you know who I am?" He also claims that Rui En offered to settle the matter with him privately, and offered him $2,000 to compensate for his three-month-old bike. When Mr Bahrom rejected the offer, the actress allegedly asked: "I'm giving you $2,000 and it's not enough? It's cash, you know?" He told her that if she offered him $6,000, enough to make a down payment on a new motorcycle, he would consider letting the matter rest. But the actress did not respond to this, and got an elder man to speak to him over the phone instead. "If she spoke more humbly, I might have been able to accept it. But she was not sincere at all," Mr Bahrom told Wanbao. He told the Chinese daily that when the police arrived, Rui En walked back to her car and locked herself in. She eventually stepped out of the car and is believed to have told officers that she only had one glass of alcohol earlier. In January this year , Rui En was driving a white BMW and allegedly hit someone else's car and drove away, reported Stomp and Lianhe Zaobao. But her manager said it was a honest mistake. 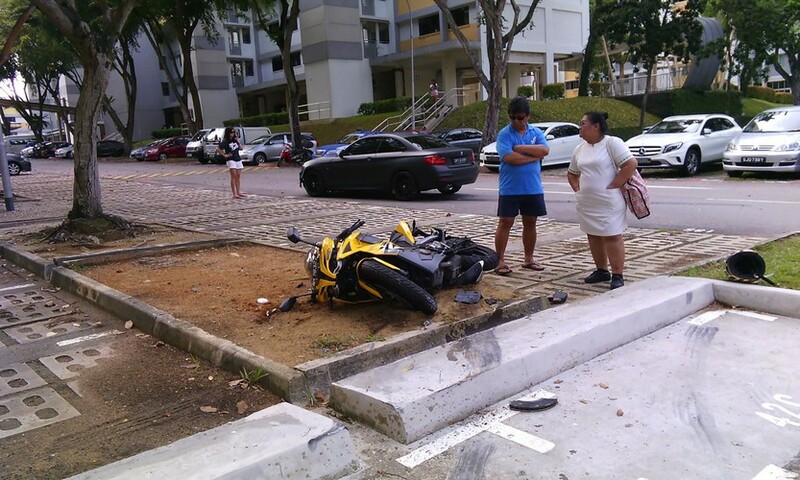 Local television actress Rui En has been accused of drink-driving and knocking down a parked motorcycle at a Clementi Avenue 2 carpark on Tuesday afternoon, Lianhe Wanbao reported on Wednesday. According to the Chinese daily, the actress was given a breathalyser test and is now assisting police with investigations. 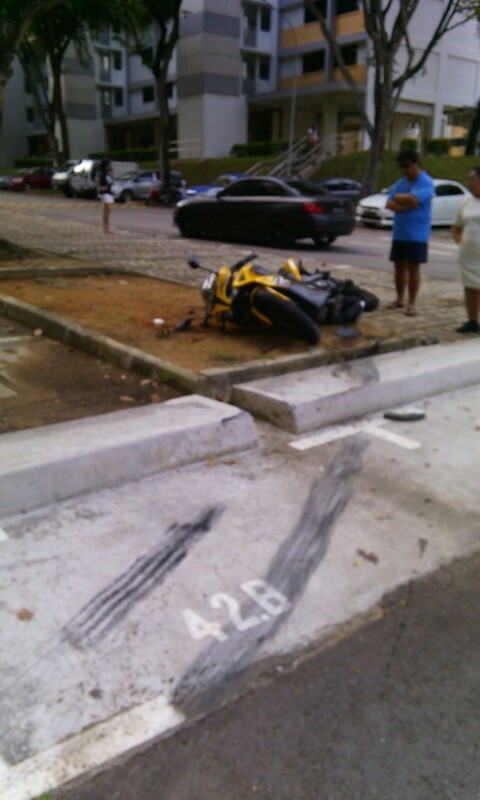 Mr Bahrom Sarmiten, the 52-year-old owner of the motorcycle, reportedly told Wanbao that he was walking to the carpark when he heard a loud sound. 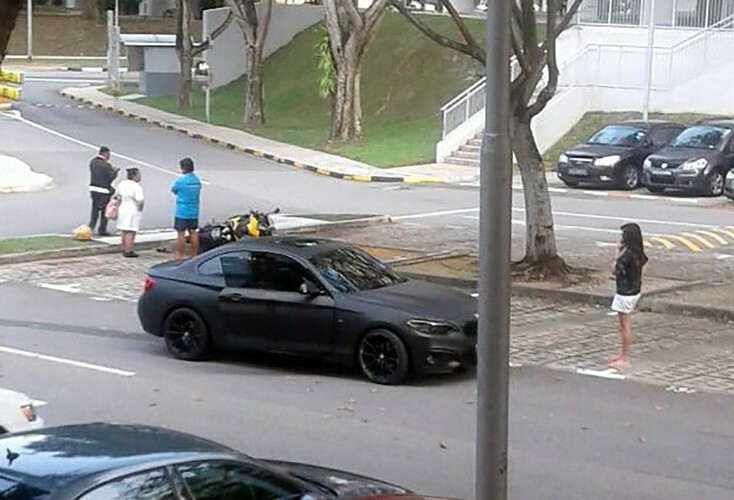 It seems that the actress allegedly flouted traffic rules again after she drove her BMW straight on a Right Turn Only Lane in Orchard road, then cutting into the second lane abruptly, and almost causing an accident with an oncoming car. The incident happened at a cross junction between Orchard Road and Paterson Road last Friday (Dec 23) at around 12pm, and a video of the incident was captured by the car camera of the incoming vehicle on the second lane, which Rui En had allegedly cut into, reports Lianhe Zaobao. A netizen commented: "Driving in such a manner is unsafe, and the car seems rather familiar…"
"Driving in such a manner is unsafe, and the car seems rather familiar…"
According to Shin Min Daily News, the 35-year-old celebrity apologised for her actions. On Tuesday (Dec 27), the actress said that she "didn't mean" to confuse the driver of the car which she cut lanes into. She was out shopping for Christmas presents for children on the day of the incident. She added that she didn't realise the lane she was on indicated a 'Right Turn Only' and only proceeded to drive straight on after the driver slowed down for her to cut into the lane.